Ray Trimble played his first game of paintball in 1988 and has been hooked every since. He has worked in all aspects of the paintball industry from refereeing to equipment cleaning to managing paintball fields to working in manufacturing. 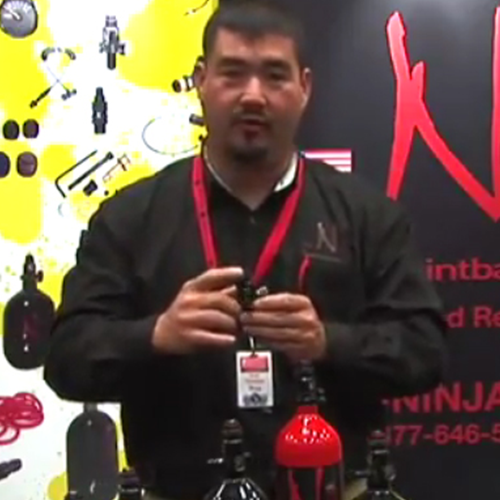 Ray Started with Ninja in 2001; then the Hose Shop which became Pressure Specialist, Inc., parent company of Ninja Paintball. Having worked from production to machine operation to technician to research & development and to his current position in sales gives Ray years of experience and knowledge in compressed air systems in which he shares with others in the paintball industry. In addition to his employment with Pressure Specialist, Inc. he is a member and active contributor to the ASTM F08-24 committee showing Ninja’s resolve to the safety of the sport.